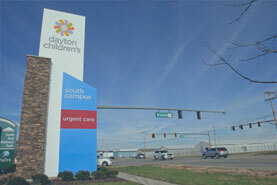 Dayton Children’s Hospital provides comprehensive, multidisciplinary care for patients with type 1 and type 2 diabetes. We are passionate about helping these children manage their condition and live normal, active lives. The diabetes team is led by our endocrinologists and also includes nurses and dietitians, a social worker and a psychologist. They take a personal approach with patients and families, always making time to provide education and support. The team includes nurses who are certified diabetes educators, which means they have undergone intensive training to teach people with diabetes how to manage their condition. Our goal is to help children take responsibility for managing their health. We work with families to create a personalized care plan and review it regularly as the child’s needs change. Our team cares for patients as they transition into adulthood, usually around the age of 22. Patients and families appreciate our thorough and personal approach, knowing that they can contact us by phone or email with questions or concerns. They can also communicate with our team through MyKidsChart. Dayton Children’s provides expert care for patients with type 1 and type 2 diabetes as well as caring for children with cystic fibrosis-related diabetes. These diseases are very different from one another, and they require different kinds of care. Type 1 diabetes can develop quickly, taking patients and parents by surprise. It occurs when the body’s immune system destroys cells in the pancreas that produce the hormone called insulin. Insulin is essential in helping the body convert sugar (called glucose) into energy. After a person eats, the digestive system breaks down carbohydrates to create glucose. Insulin moves glucose into the body’s cells. Without it, glucose builds up in the blood instead. This can lead to dehydration, weight loss and a life-threatening condition called diabetic ketoacidosis, or DKA. DKA occurs when the body starts breaking down fat cells in a desperate attempt to get energy. Most of the time, children are diagnosed with type 1 diabetes after a parent, caregiver or teacher notices symptoms such as excessive thirst, frequent urination, weight loss, nausea and vomiting, and fatigue. Doctors can confirm a diagnosis of type 1 diabetes using a urine test and/or blood test. There is no cure for this disease. But children with type 1 diabetes can live full and active lives with the help of intensive insulin therapy, which involves administering shots or using an insulin pump to deliver insulin several times a day. Adjusting to Type 1 diabetes can be challenging, but our caring team can help you and your child be successful. Type 2 diabetes occurs when cells in a child’s body become resistant to insulin, causing glucose to build up in the bloodstream. 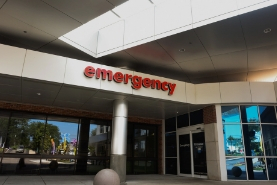 Over years, this build-up can reach dangerous levels and lead to complications such as heart disease, blindness and kidney failure. Type 2 diabetes is almost always preventable. The single greatest risk factor is excess weight, although family history can play a role. Your child’s primary care physician can help you understand your child’s risk factors and work to reduce them through diet and exercise. Once a child has been diagnosed with type 2 diabetes, a healthy diet, exercise, insulin and (in some cases) oral medication can help them manage it. The symptoms of type 2 diabetes in children develop slowly. They include unexplained weight loss, increased hunger or thirst, and frequent urination and fatigue, among others. If you notice these symptoms in your child, take him or her to the doctor as soon as possible. A urine and/or blood test can help determine if your child has a form of diabetes. If your child is overweight, the doctor may need time to determine whether the cause is type 1 or type 2 diabetes. Cystic fibrosis-related diabetes (CFRD) is a unique form of diabetes that is common in people with cystic fibrosis. Our endocrinologists would work closely with the child’s pulmonary team to manage this additional disease caused by their CF. CFRD shares features of both type 1 and type 2 diabetes. It is recommended that any child with CF age 10 and older be tested every year for CFRD. Learn more about CFRD from the Cystic Fibrosis Foundation. You can also visit our forms page for additional forms such as release of information to schools and consent to treat form. 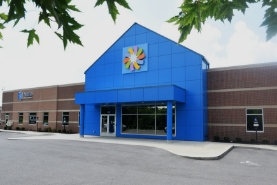 If you are currently a patient of the endocrinology diabetes clinic at Dayton Children’s please visit our diabetes resource center for additional forms and resources to help you manage your care. Other Diseases That Are More Common in People With Type 1 Diabetes Kids and teens with type 1 diabetes have a greater risk for thyroid disease, celiac disease, and Addison's disease. Learn more about these autoimmune disorders.